ProFound assists entrepreneurs in emerging markets in the natural ingredients sector. We help to capture economic opportunities from production to market entry. We aim for local development that lasts: adding value for producers and sustaining local biodiversity. With our mission and activities we directly contribute to the UN sustainable development goals 1, 1, 8, 13, 15, and 17. Our value chain development services range from market and gap analysis, business planning, to rural finance and matchmaking. We work in different regions of the world, cooperating closely with entrepreneurs, sector associations and international buyers. For us, sustainable development is a core value and a priority in doing business. This is why our services incorporate the following ecological and social principles. ProFound works with suppliers of natural ingredients in emerging markets. We have a particular interest in non-commodity ingredients and those originating from wild collection. We believe such ingredients offer opportunities for rural income generation and supporting biodiversity, also in areas where climatic and soil conditions allow for few other income opportunities. Here, interesting ingredients can still be produced, both under cultivation and collected from the wild. This enables farmers and collectors to earn much needed income and entrepreneurs to find business opportunities. At the same time, sustainable collection or cultivation in biodiverse production systems can improve soils and sustain biodiversity. Finally, our 25+ years of experience in natural ingredients makes this the sector where ProFound can contribute most to sustainable economic development. ProFound supports suppliers to add value to the natural ingredients they supply to the food, health and cosmetics industries. We foster value addition throughout the supply chain of the ingredient, such as sorting and grading, mixing, processing, labelling and packaging according to buyer specifications. We also help entrepreneurs add value by documenting and certifying their processes or sharing interesting stories that buyers can use in their marketing. The more value addition done in the country of origin, the higher the margin, and eventually the higher the profit for the producers that ProFound supports. By sourcing sustainably entrepreneurs can assure sufficient raw materials for their production today, without depleting resources for the future. Suppliers of natural ingredients based on wild collection can do so by conducting a thorough resource assessment. This tells them how much they can sustainably harvest from ecosystems without endangering regeneration of their raw material resources. When their raw material is cultivated, suppliers need to develop production methods that do not deplete soils or their water supply. Finally, by paying decent prices to collectors or farmers, suppliers further reduce risks and volatility in their raw material supply chain. ProFound contributes to sustainable sourcing by suppliers in emerging markets in two simple steps. Firstly, by raising awareness of what sustainable sourcing entails: why it is important for their business. Secondly, by assisting suppliers in implementing sustainable sourcing in their supply chain, from start to finish. For example, by using our unique approach it is possible to easily and conveniently implement four wild collection standards at once, lowering internal and certification costs. Alternatively, we support farmers to cultivate their crop in biodiverse production systems which protect soil and water. ProFound works on sustainable sourcing in Pakistan and Sri Lanka. Worldwide, biodiversity is at risk. Although many international organisations, governments and companies are trying to stop the alarming rate of biodiversity loss, much still needs to done as the current rate of global diversity loss is estimated to be a 1000 times higher than the natural extinction rate. By developing sustainable value chains, ProFound contributes to the protection and sustainable use of natural resources and biodiversity. We believe that this can be achieved through sustainable sourcing, thus contributing to economic development. As we highly value preservation of biodiversity, we like to promote BioTrade using UNCTAD’s definition: ‘Products which are collected, produced, transformed and commercialised and are derived from species of native biodiversity under the criteria of environmental, social and economic sustainability’. We also include naturalised products according to the definition of BioTrade: plants that have become part of a specific, local biodiversity setting, which enriches or maintains biodiversity. BioTrade products can be based on both wild-collection and cultivation in a local biodiversity setting. Sustainable cultivation, harvesting practices and their certification play an important role in this aspect, as does benefit sharing with producing communities and knowledge holders. We often work with wild-collected ingredients where maintaining biodiversity is key for future availability of the species, for example in our work with gums in Ethiopia and pine nuts in Pakistan. We give suppliers the tools to harvest their wild-collected ingredients sustainably. By implementing sustainable harvest practices, collectors also protect the forests or fields where they collect. We support suppliers to demonstrate their practices with certifications as well. We also believe that cultivation can go hand in hand with rich biodiversity. We help suppliers develop strategies to produce in biodiverse production systems instead of mono-culture plantations. In ProFound’s tea project in Sri Lanka we developed a forest garden system for tea production. Planting different tree crops in the tea plantation reduced erosion and soil degradation and improved biodiversity. ProFound currently works on biodiversity in South-East Asia, Pakistan, and South Africa. Small and Medium-sized Enterprises (SMEs) play a crucial role in generating higher income in emerging markets. These businesses do not only employ people directly, but also create employment for their suppliers, such as collector groups or farmers. In our work in Ethiopia for example, four honey-exporting SMEs provide a source of income for almost 3,000 beekeepers who supply them with honey. ProFound defines SMEs as companies with a maximum of 500 employees. Competing with large suppliers from other countries on international markets is often a challenge to SMEs. ProFound identifies market niches where SMEs can compete. We also identify the capacity gaps that these SMEs need to overcome in order to supply these niches, such as insufficient food safety management, lacking certificates and incomplete documentation. Together with the SME, ProFound makes an action plan to address these capacity gaps. With our 25+ years of expertise on natural ingredients markets and SME business planning, our action plans do not only help SMEs to overcome capacity gaps, but also to add value to their products. In this way, we make sure that SMEs maximise their own returns and provide more income for their suppliers. At ProFound we see responsible business as an integral element of our approach towards the development of sustainable value chains in the natural ingredients sector. In particular, we contribute towards local economic development and the maintenance of biodiversity. This also leads to higher income and higher quality products. We believe local economic development can be achieved by creating fair incomes and fair working conditions, not only with supplying entrepreneurs whom we support directly, but also for collectors and farmers that provide the raw materials. It is with this belief that we engage with suppliers and institutions in the countries we work. We ensure that suppliers and institutions are aware of Corporate Social Responsibility (CSR) issues in their sector and that they implement responsible business practices as well. We audit on CSR compliance at the company and sector level, such as forced and child labour, discrimination against minorities and women and corruption. ProFound provides suppliers with tools and support that protect people (social), planet (plants and soils) and profit (higher quality & commercial). We also offset our own carbon emissions by investing in sustainable energy. 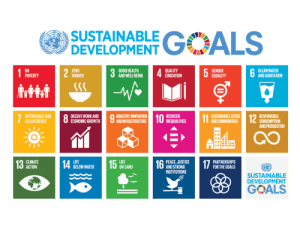 In doing so, ProFound makes an active contribution towards the global Sustainable Development Goals to be achieved by 2030. Specifically we contribute towards Goal 8: Decent work & Economic Growth, Goal 15: Life on land and Goal 13: Take urgent action to combat climate change and its impacts. For example, we work towards the conservation of forests and biodiversity regions by stimulating the trade in biodiversity-related products. Suppliers worldwide face an increase in market requirements when they want to export to Europe. There is alignment at an international level, for example in legislation for natural ingredients for pharmaceuticals. However, European countries often place additional requirements on suppliers to demonstrate that ingredients are safe or have a claimed effect. On top of that, buyers can demand even stricter specifications or a compliance with particular standards. It is clear that complying with European expectations can be a step too far for many suppliers in developing countries. Especially if they currently supply national markets with much lower requirements. ProFound fills this gap in various value chains worldwide, such as honey, spices, coffee, dried fruits and nuts, medicinal plants, essential oils and extracts. Our work in countries like Ethiopia, South Africa and Pakistan helps suppliers to develop their natural ingredients and organise, document and certify their production, processing and marketing in order to access the European market. We empower suppliers by providing them with accurate and specific information and tips on how to apply international best practices in their business. We deliver tailor made advice which provide suppliers with step-by-step solutions to meet and exceed buyer expectations. At the same time, we connect them to buyers who are willing to accompany and support suppliers in this process. Each year, all over the world, people migrate from rural areas to cities or other countries to flee conflict, drought or a lack of income opportunities. Their lives get uprooted in the process. Often, these people depend on collecting and selling resources from their natural environment. These include interesting natural ingredients from the wild, such as liquorice in Pakistan or gums in Ethiopia. However, these currently do not provide sufficient incomes for producers. Also, collection methods often damage the environment because too much or the wrong part of the plant is collected. Therefore, ProFound believes sustainable supply chains for these ingredients need to be developed. ProFound trains producers to improve the quality of the ingredient by collecting the right part of the plant, and sorting the ingredient into different grades so they can sell it at a better price. ProFound trains producers to implement good collection practices so they collect in a way that allows the plant to regenerate, which improves future availability of the plant. Moreover, ProFound coaches producers towards certification which adds further value to the product. In this way, ProFound’s approach improves the income of households. We help reduce their need to leave their homes, by giving them better options for a decent living. ProFound works on this theme in Pakistan.